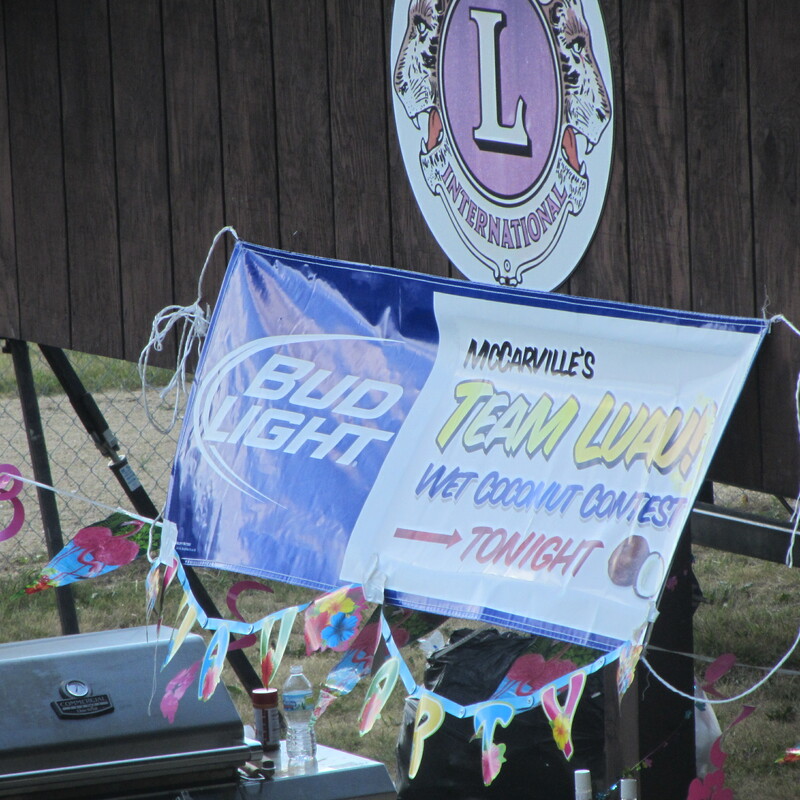 The sign read: McCarville’s Team Luau! Wet Coconut Contest Tonight. I’d passed the shelter multiple times, read the sign, saw people milling about, and became curious (imagine that!). After two days, my initial caution surrendered to curiosity and I headed to the shelter. I also knew the friendship circle was closed. How did I know I wasn’t welcomed at McCarville’s Team Luau! Wet Coconut Contest Tonight shelter? Faces registered suspicion. When I strolled up to a group around a table, a few brows furrowed and lips tightened. I could tell they wondered why a stranger would invade their space. Answers to my questions were curt. When I asked questions, they offered quick replies with little explanation. If I stopped asking, they stopped talking. Bodies remained turned away from me. No one looked at me or shifted their attention towards me. I looked into a person’s ear rather than his eyes whenever someone did answer me. Their activity continued unabated. Folks played a card game without missing a shuffle, a deal, or a play. I was an interruption and I knew it. In a healthy community centered in Christ, we treat strangers differently than the coconut people. And if we don’t, we’re neither healthy nor centered in Christ. Go through this check list next time you’re with a group of Christians. Do their faces register openness or suspicion when someone new enters the room? If you’ve taken a class in human behavior (or watched a television show about a doctor who studies human behavior), you know that eyes widen and a smile appears on the face of a person who’s excited to see you. Do they invite and respond to a stranger’s curiosity? Again this isn’t rocket science (although I do love the NASA t-shirt that says, “This is rocket science!”). You know when a person shows genuine interest in you. She asks more than, “How are you?” And she doesn’t just offer you curt replies. Do they shift their bodies in a way that allows the stranger into the circle? When someone sees you and breaks off what he’s doing to come to you, his physical change speaks volumes. It also allows you to relax. You may not know him but you don’t feel abandoned to a social island. Does their activity shift as well in order to accommodate the new person? The community adjusts its agenda from talking about what’s familiar among friends to what’s comfortable for someone who has entered the circle of friends for the first time. Let’s use four friends playing cards as an example to illustrate what welcoming the stranger looks like. All four friends introduce themselves to the stranger. Now what would welcoming a stranger look like in your family or church or Bible study or prayer group or … you fill in the blank? I want to give you an assignment, one I’d love to hear back from you on. Next time you’re present in community observe the interactions between people. I’m curious. Are there unfamiliar faces among the group? How does the community respond? Who shines with generous hospitality? Does the community as a whole reflect welcome or a who-really-cares attitude? 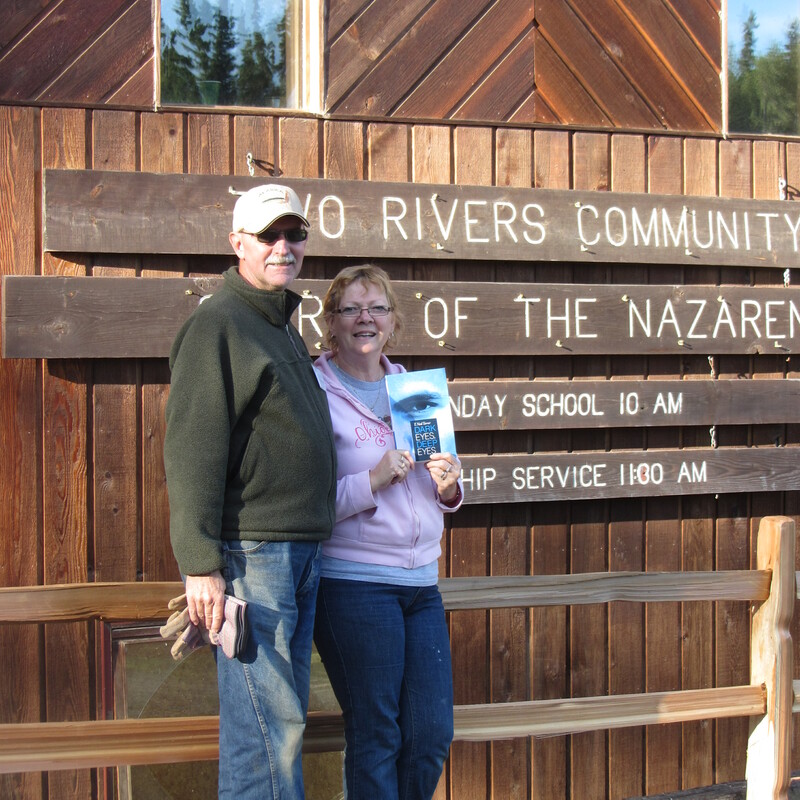 “Dark Eyes, Deep Eyes” goes to Alaska with my friends Ron and Colyene. This entry was posted in Community and tagged being rude, Christian community, community, hospitality, openness, Star-Spangled Celebration, welcoming atmosphere. Bookmark the permalink. I had an after office hour appointment with a counselor in a church I have never been to. I was standing in front of the office doors and there were two people there talking, so I waited for them to finish talking as a courtesy because I was early anyways. Once they finish talking, they just looked at me and then walk away and I don’t even have the courage to ask them where the counselor is. At that point I wanted to walk out of the church. Later on I felt that I am the one with problem because I should have speak up and just ask. It’s interesting how you use the four friends playing cards as an example because to me it just doesn’t happen in real life. Shirley, in our worship service yesterday, people seemed genuinely happy to see one another. We even had a few guests among us and they were not ignored. After Friday’s posting, I tuned in more to watch people and their responses in church. I don’t typically do this so I didn’t know what I’d see. I find your experience more consistent with what I’ve seen in many churches. People say they are a friendly church but they don’t realize their friendliness stops with those they already know. My hope is to not be counted among the friendly-to-friends crowd but to welcome the stranger among us. Pray the same to be true of and for you. Tom, this is a great post! I could feel the tension in my throat as I read your description of the luau group. It was a very real physical reaction to your rejection! When you turned to draw the analogy to community in Christ, I could feel that tension fade. This is SO ridiculous when it happens in our churches! I pray many will read this post and get the message, but I am afraid in most places it will happen again this Sunday. We just need to make sure it does not happen around us. Chris, we’ve all been in a place, church or small town restaurant or somewhere else, where people’s looks and silence greeted us. We’ve felt our stranger status in very clear terms. When we find a place where people do welcome us as if friends, we return (or at least want to). We desire to pitch our tents with a tribe like that. My guess is, because of your commitment to Christ and godly principles in business, Mike Patton Motors might be just such a place I’d want to return (even if I didn’t already consider you a friend). Thanks Tom! That is certainly the goal.